When they crossed the stage in May, the Class of 2018 broke multiple records, including becoming the class with the highest four-year graduation rate of any public university in the state. According to UT’s office of the executive vice president and provost, some of the university’s largest strides were related to its first-generation and low-income students. In findings released Thursday, the four-year graduation rate for these students increased from 41 percent in 2012 to 61 percent in 2018. In the same six-year period, four-year graduation rates also increased for the university’s black and Hispanic students. 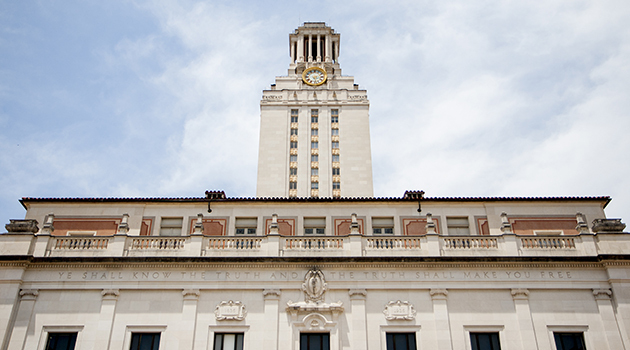 The increased graduation rates have also made it possible for UT to welcome its largest incoming class. With nearly 9,000 first-time freshmen on campus, Executive Vice President and Provost Maurie McInnis says the university is committed to continue the progress that’s been made in improving graduation rates.